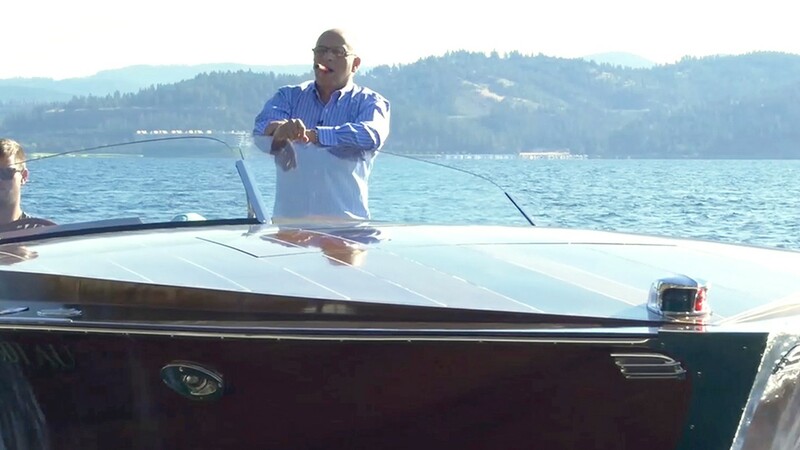 This episode of Sketch takes us to beautiful and serene Couer D'Alene, Idaho, where life revolves around the lake. Architect Mark Candelaria takes us inside a massive log cabin he designed on the steep lakefront. Using friction-fitted logs, this home was built like a true Lincoln Log cabin — without any screws or nails. The state-of-the-art log work, wooden doors crafted from Bolivian rainforest cedar wood, and tram system to the lake make this a truly unique property that you have to see to believe.